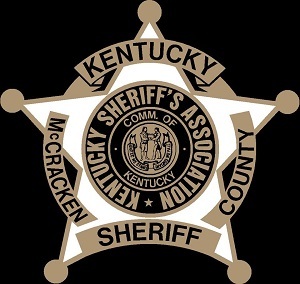 On December 20, 2018 at approximately 11:04, The McCracken County Sheriff’s Office received a call from a resident on Lakeside Drive. The caller advised a man walked up to their door and began knocking multiple times. No vehicles were in the driveway so by all appearances no one was home. The man, after knocking repeatedly, opened the screen door and continuously knocked on the main door. Once he stopped knocking, the man was then observed depressing the lever on the doorknob and made several attempts to enter the residence by jiggling the door handle. pull up, immediately and unprovoked stated that he had not stolen anything. A criminal record check revealed Driver to have prior convictions for theft and burglary. Furthermore Driver couldn’t provide a valid reason for being on the road in question on a rainy 45 degree day and was charged with attempted burglary and lodged in the McCracken County Regional Jail. Although the investigation in this particular case is unclear as to what the end outcome may have ultimately been it is clear that Mr. Driver had no legitimate business to be attempting to open the front door of the caller’s residence. We would like to take this opportunity to remind citizens to be vigilant and report any suspicious activity to your local law enforcement.